Directive on Terrorism: The EU on a Security and Post-Democratic Drift? Paris, 5 July 2016 — Yesterday evening, the LIBE Committee of the European Parliament (Civil Liberties, Justice and Home Affairs) adopted the draft Directive on Combating Terrorism proposed by the European Commission by 41 votes to 4 with 10 abstentions. 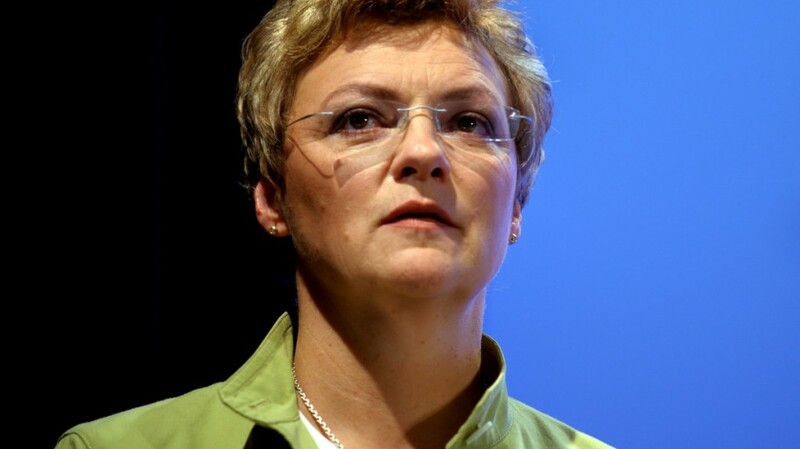 The EPP (conservative) Rapporteur Monika Hohlmeier had turned the directive into a text that will give credence to the worst anti-terrorism and surveillance laws from across the European Union. She clearly bowed under pressure from the French Government (FR), who is seeking to whitewash its own controversial laws regarding surveillance and websites censorship at the European level. La Quadrature du Net denounces this “europeanisation” of extrajudicial surveillance and censorship, all the more considering that the process surrounding the directive is in and of itself a staggering denial of democracy: Indeed, the draft Directive will be further discussed in secret trialogue negotiations, which will preclude any substantial amendment during the plenary debate of the European Parliament. Under the guise of security, the European Union is undermining its own fundamental values. The directive on combating terrorism presented by the Commission in December 2015. It is aimed at improving the cooperation between European law enforcement agencies, and seeks to provide a European framework for Member States’ national anti-terrorism legislations. However the rapporteur of the LIBE Committee in the EU parliament, Monika Holheimer (EPP) hardened her position under pressure from some member States, and France in particular. She turned it into a text expanding to the European level a number of dangerous measures that will profoundly undermine fundamental rights. La Quadrature du Net is particularly worried about this blank check given to the extension of websites blocking measures across the European Union (those were introduced in France in 2014). Such online censorship takes place without any prior judicial decision. It is not subject to sufficient judicial remedy, and is ineffective. It has therefore been denounced from the very beginning as attacking the freedom of expression and of information. In addition, as pointed out in a study of the Council of Europe, it is extremely doubtful that these measures comply with the European Convention on Human Rights. Nevertheless, under pressure from France, such extrajudicial censorship may be expanded all through the European Union! Similarly, calls for hosting providers to cooperate with public authorities to fight terrorism – which is inspired from Rachida Dati’s dismal report and from the controversial practices of Europol – may accelerate the shift towards censorship and extra-judicial surveillance. Similarly, the widening scope of individuals and legal persons that could be sued for aiding and abetting terrorism is concerning. The mere knowledge that a tool or a service could be used for terrorist purposes would be sufficient to undergo judiciary prosecutions. Publicly offering an encryption or anonymisation service could therefore be considered as aiding and abetting terrorism. To make the matter even worse, strong antidemocratic trends within the European institutions are at play in the passing of this directive: The LIBE Committee voted to grant Ms. Hohlmeier a direct negotiating mandate in a trialogue with the European Commission and the Council of the European Union before the vote of the draft directive in the plenary session of the European Parliament has taken place1According to our informations, a first meeting of the trialogue should take place on 14 July. MEPs who should be present are: Claude Moraes, Monika Hohlmeier, Caterina Chinnici, Timothy Kirkhope, Petr Jezek, Cornelia Ernst, Eva Joly, Laura Agea et Lorenzo Fontana, whom we should watch carefully.. The opaque negotiations of the trialogue, where Member States can press to obtain a directive that would legitimise their own national laws without any democratic control, will start on an already very concerning basis. The lack of real parliamentary control and transparency will only make things worse. The rest of MEPs, who will have to vote in plenary session of the European Parliament, will face a done deal and will not be able to amend this anti-terrorism Directive. “This directive on combating terrorism is very worrying. While efforts for coordination and for a common notions are welcome, a large part of the text encourages the adoption of exceptional measures and risks setting back the rule of law across the European Union. Through pressure from the French government both in the Council and in the LIBE Committe of the European Parliament, the securitarian drift happening in France will scale up at the level of the whole European Union. We call for members of the European Parliament to insist for full transparency during the negotiations with Member States and the Commission. Fundamental values of the European Union are being endangered, just when they would need to be strengthened. Negotiating dangerous texts in secret won’t save the EU, but rather strengthening democratic processes will. It is the only way to obtain withdrawal of the dangerous surveillance and censorship measures that have been voted yesterday, and to return to a substantive approach, respectful of Human Rights and freedoms” says Adrienne Charmet, campaign coordinator of La Quadrature du Net. See also our analysis of the Internet-related provisions of the directive. 1. ↑ According to our informations, a first meeting of the trialogue should take place on 14 July. MEPs who should be present are: Claude Moraes, Monika Hohlmeier, Caterina Chinnici, Timothy Kirkhope, Petr Jezek, Cornelia Ernst, Eva Joly, Laura Agea et Lorenzo Fontana, whom we should watch carefully.